Two things I’ve been shooting a lot of since moving to Atlanta is sports and music. A few months ago I started the day by shooting on set with T.I. and finished the day shooting at the home of Jamal Crawford of the Atlanta Hawks – on two completely unrelated shoots. 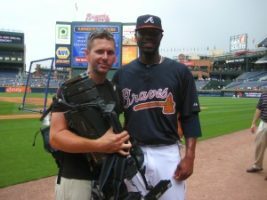 Recently I had the fortune to work with another awesome duo for for MLB Productions – Big Boi from Outkast and Jason Heyward, star newcomer to the Atlanta Braves. The day started with Big giving Jason a tour of his studio and a preview of his upcoming album, Sir Lucious Left Foot: The Son of Chico Dusty, followed by Jason returning the favor and giving Big a tour of the Braves clubhouse. 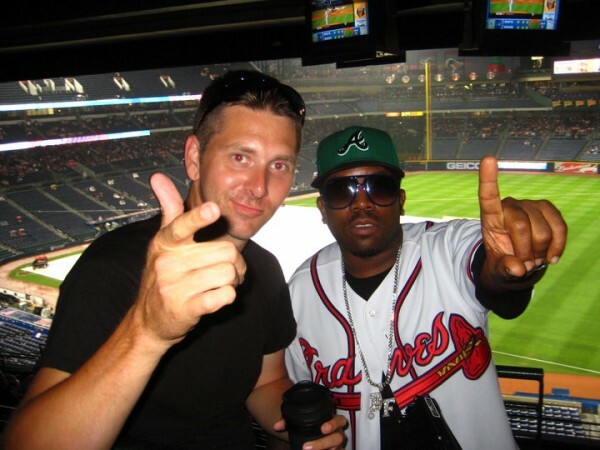 Later that night – after a long rain delay – Big Boi lead the crowd in the 7th inning stretch. It turned into one very, very long day with the ball game not ending until after 1am, In the end we shot A LOT of tape, stuck out a rainstorm and ended up meeting some cool new people. Shoots like this are the reason I love calling Atlanta home.